We recently ran my post entitled: 10 Things You DON’T Need to Buy for Your New Baby, listing the non-essential baby gear you may want to avoid purchasing for baby’s homecoming. In this post, I’m sharing the top ten things you should buy for your new baby, to help you plow through the countless options in the baby market so you end up with what your new little one really needs to get life off to a great start! Yes, we all wish that Elimination Communication would jive by day one, but the fact remains that newborns need diapers. There are plenty of ways to green your diapering regime. Check out our comprehensive offering of posts on the topic: Getting Started with Cloth Diapers, 9 Cloth Diapering Must- Haves, Home Laundering Cloth Diapers, Finding the Right Cloth Diaper for You, 5 Eco-friendly Reasons to Choose Cloth Diapers, and gDiapers: We Review the Planet’s First Flushable Diaper. Hopefully, your baby’s bottom will never succumb to diaper rash, but here are our top picks of all natural diaper creams to have on hand just in case. Buying an infant car seat for your baby is not a should, it’s a must. You will not be permitted to leave the hospital in a vehicle without having an infant car seat properly installed. HealthyChildren.org offers an up to date and informative article on car safety seats that will help you navigate this vital purchase. Whether you subscribe to the attachment parenting philosophy or not, you’ll want to have the ability to practice babywearing while on the go (or even at home) at one point or another. Visit our previous post featuring the favorite baby carriers of the Inhabitots team. Since the recall and severe warnings issued with regard to baby slings, my new personal favorite is the ERGObaby organic carrier. We’ve written about a slew of baby carriers, so you can read all of our babywearing posts before you choose one. Although you may think the kitchen sink will work just fine, your newborn really will be more comfortable, supported and safer in his own infant tub. Whether you opt for a tub which is shaped like a bucket and mimics the womb environment, or a rectangular shaped tub that folds away after use, make sure the tub you choose is BPA free. My daughter’s first tooth poked through when she was three months old! We were glad that we had plenty of non-toxic teethers on hand to help soothe her aching gums. Here are 7 eco-friendly, non-toxic teething toys your little ones will want to sink their budding teeth into. Above, my daughter is poised to chew on a Maple Teether by Camden Rose. Although baby may not sit up to eat a solid meal until 5-6 months, having a high chair ready to seat and properly position him for the grand occasion is a definite must. 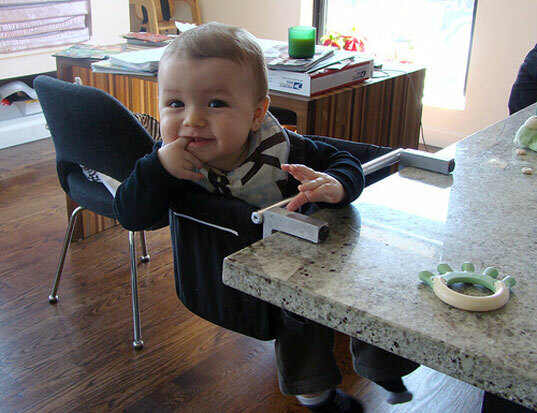 There are so many varieties of high chairs available, from the kind that grow with your child, to convertible high chairs and sleek recycled leather options to portable, flatpak hideaway high chairs. You’ve got the infant tub, now you need the non-toxic baby shampoo/body wash to use on your slippery little babe. Use these products very sparingly — even opting to use plain, lukewarm water during bath time on those occasions when baby isn’t particularly dirty. If you really want to go the au natural route, see our post on how to make breast milk soap. And visit the Environmental Working Group’s Skin Deep website, which features a special section dedicated to informing consumers of the toxicity levels in baby products. Baby needs a grooming kit with special, tiny-sized, safety nail clippers, a nasal aspirator (which may be used to clear baby’s nostrils of snot, and we also had one on hand to remove spit-up episodes caused by acid reflux). Most kits will also include a toothbrush you may slip over your finger to clean baby’s gums after feedings — and make certain that a baby thermometer rounds out the baby care paraphernalia so you may check baby’s temperature and determine whether he has a fever when he is ill or after receiving immunizations. If you’re planning on nursing your baby, you’ll definitely want to purchase a breast pump. Determine whether you need a breast pump on a minimal basis, or if you need a hospital grade pump to pump your breast milk frequently or exclusively. Breast pumps are great to have on hand for many reasons: if your partner or a sibling would like to bottle feed baby your breast milk, or need to do so in your absence, if you need to increase your milk supply, if you need to relieve engorgement (but to do this, you must only pump a tiny bit of milk) or clogged ducts, etc. Ok, I’ll admit it. I didn’t know what a “layette” was when I was pregnant for the first time. But alas, it’s simply a collection of clothing for a newborn, which obviously, your baby will need! Consider taking a casual layette to the hospital too. We are doing so the second time around because we weren’t fond of the hospital issued garb our first baby had to wear! 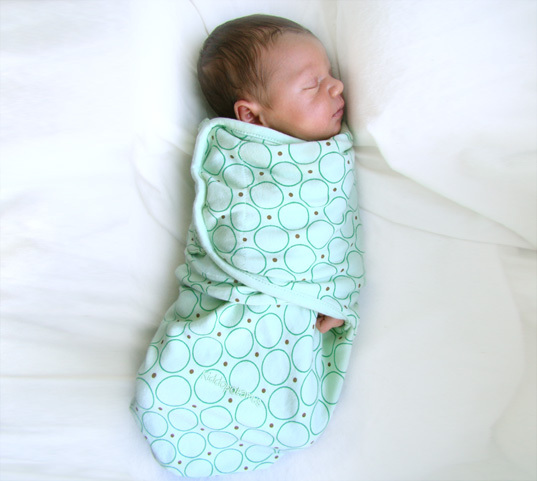 Start your baby’s wardrobe off with organic cotton hats, onesies, swaddling blankets, safety mittens, booties and pajamas to welcome her into the world in style and comfort. We recently ran my post entitled: 10 Things You DON'T Need to Buy for Your New Baby, listing the non-essential baby gear you may want to avoid purchasing for baby's homecoming. In this post, I'm sharing the top ten things you should buy for your new baby, to help you plow through the countless options in the baby market so you end up with what your new little one really needs to get life off to a great start!